I have always been a fan of board games. I had always played the classics: Monopoly, Risk, Battleship, the Game of Life, Payday. A few years ago a friend of mine introduced me to his Catan collection and Pandemic. That Christmas my family got me Settlers of Catan for Christmas. 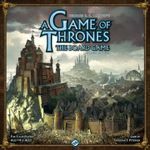 This April I graduated from university and while looking for work, a friend of me encouraged me to come to a board game night at a local cafe. He told me it would be a good way to meet people and play some games. After going out to this event a few times and playing some games (Last Night On Earth, Escape: The Curse of the Temple, Last Will), I discovered Wil Wheaton's TableTop show and began reading and watching reviews of games on his show and others that I had heard about. I already had a few good games that I enjoyed but this summer my collection grew quite a bit. Here is the list of games I have acquired this summer (roughly in chronological order). Feel free to add more games to the end of the list that you think I may also enjoy. This was one of the games I saw being played at multiple tables at the first board game night I went to. Being a cheap student I didn't want to spend the prices I saw at my local game store (~$60) so I searched online and found some better deals (~$40) but then I found the game at Chapters for $25 and immediately purchased it. It was instantly a favourite in my family. They liked the simplicity of the rules, how quick the turns are and how little downtime there was between turns. 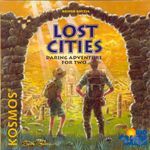 A friend had introduced this game to me a few years earlier and I enjoyed it so I went looking for it and discovered a new edition had been published. This is another of my family's favourites for its cooperative nature. They like being able to work together and not against me. 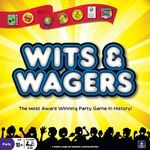 This is also popular with my gaming groups, who also enjoy cooperative games. Some games on the list I knew my family would like. Some games were intended for my gaming groups because I knew my family probably wouldn't like them. I tried this game once with my family and they did not enjoy it or understand it. This was the first game I bought based on watching Wil Wheaton's TableTop. I liked the semi-cooperative nature of helping your friends until it no longer benefited you and then stabbing them in the back. 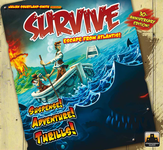 I really enjoyed the first few plays, but it has since slipped in popularity after acquiring other games. I saw Star Fluxx played on TableTop and found the chaotic and silly nature of the game appealing. Sometimes you just want a silly game. This has received mixed reviews from the people I have introduced to it. About half of the people hate it and refuse to play it and the other half think like me and find the randomness enjoyable. Two people in my gaming groups have purchased it for themselves. Another one I bought after seeing it on TableTop. I liked the social nature of the game and the secret identities. Unfortunately, I haven't really experienced a play of this game like the one on TableTop. I need to encourage more table talk. I feel with more plays, people will become more comfortable with how the game works and will make it a better experience. Around this time I had found work and now had an income. Obviously I should spend it all on new games. I ordered the next four games together. I was attracted to this game for a few reasons. I saw a picture of a finished game and thought the board looked amazing with all of the colours. I read about the rules and liked their simplicity, but I really liked the scoring mechanism. I had heard a lot about this game and watched a couple reviews, but wasn't really convinced I would enjoy the game. I was making the order and saw it was $8 so I added to the cart and I'm glad I did. It plays quick but has a nice deduction element. Almost everyone I have introduced to it has really enjoyed it. I saw the Family edition of this game played on TableTop. We have a big group of families (5-6 families) that go camping every summer and I thought this would be an excellent group game. A trivia game where you're not really expected to know the answer. It never did make it camping but was very popular nonetheless at home and with my gaming groups. This game was the main reason for putting the order together. The Dice Tower told me I had to have this game in my collection. On their instruction I also watched Monty Python and the Holy Grail as well. 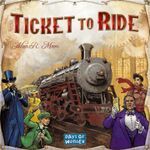 I was intimidated by the multiple boards and multiple rulebooks so I wasn't sure my family would like this game. 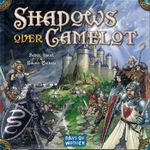 I introduced it to a gaming group first and discovered it was actually really straightforward to play and a lot of fun. We played the first game without the possibility of a traitor but have since introduced the traitor and it makes it more fun and more tense. Shortly after the previous order I made another order containing these next four games. I was beginning to think I was becoming addicted to buying board games. 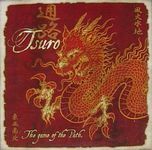 Tsuro is another game I learned about from an episode of TableTop. This was another game I thought looked amazing during gameplay. This was an instant favourite with my family. The first month after I got it we played it 26 times! Like Tsuro I wanted this game because I thought it looked really cool while playing it. I always enjoy seeing how different Carcassonne looks after playing this game. I had heard that this game was everyone's wives' favourite game so I thought my girlfriend would enjoy this game. We have only played this game once together and she said she liked it. It's harder to get to the table because there are often more than two people wanting to play games. I thought the concept of trying to survive on a lifeboat in the middle of the ocean was interesting, especially because you could throw people overboard. The game is not quite as good as I had hoped but I still enjoy playing it and have since purchased the first expansion (see below). My girlfriend and her family really like this one. I stumbled across Blood Bowl a few years ago and had started a tabletop league with a few friends. The league was a big success. We were playing once or twice a week, had playoffs and my Chaos team Chaos Theory lost to a Norse team called the Glass Jaw Vikings. We started a second season with new teams but people seemed to lose interest or get busy and eventually the league just stopped. Fortunately I had found Cyanide's video game version of the game and began playing that. A few of the former league members also got Cyanide's version and we joined a great online league called RMBBL. This is the only way I get to play Blood Bowl now. The game is fairly complicated to new players and really requires some sort of league to make play worthwhile so I picked up the Blood Bowl Team Manager card game to slowly introduce people to the game. I like the card game so wanted the expansion for it. Unfortunately neither the base game nor the expansion have been played since I got the expansion. This is a game I bought specifically to play with my girlfriend. We have yet to play it together but I have played it once with someone else and really liked the deduction and the planning of your moves. Some people don't like this game because of its subject manner but I see it as a silly parody and a fun game. The executioner with the most valuable heads wins the game. I think that's funny. Maybe there is something wrong with me. My gaming groups have really enjoyed it too. I am a Game of Thrones fan. I have read the first four books and the fifth is on its way to my house right now. I have watched all episodes of the TV show. I really enjoy/hate the way Martin makes you fear for the lives of every character. I had heard many good things about this game and because of its theme had to have it. It looks intimidating so it has yet to be played. I currently have plans to play it this weekend and am really looking forward to it. A few weeks ago at Thanksgiving dinner we played a game of Pictionary with tons of trash talking and it was a lot of fun. My aunt suggested we try Charades for the next family dinner, which looks like it will be Christmas. I went looking for Charades but found this instead. 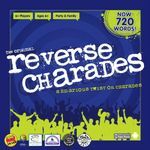 Many people don't like Charades because they have to act in front of a large group of people so I thought Reverse Charades where you act in a group would attract more people to play. It probably will not get played until Christmas though. I wanted this game because of its cutthroat nature. Sometimes it's fun to send sharks to devour your opponent's drowning pieces. I just got this game and the next two about a week ago so haven't had the chance to play them too much yet. I've played each once so far. 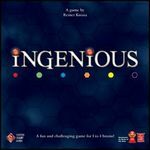 I played this with friends whose favourite type of game is cooperative and while they weren't as mean as me, they still really enjoyed it. I like the push your luck nature of this game and that it supports up to 8 players. It is also fairly simple and plays quickly. I added this to the order because I had many good things about it and it was only $10. In its first play everyone really enjoyed it. I think it will get lots of play. 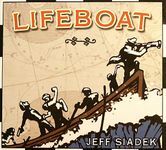 Having purchased Lifeboat earlier in the summer and enjoying it, it was easy to add this $4 expansion about eating the fellow passengers of the lifeboat to gain life after you made sure they wouldn't have enough water to survive any longer. Like I said in the Guillotine entry, maybe there is something wrong with me.